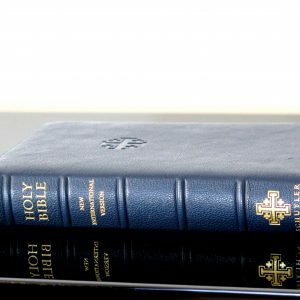 The Schuyler Personal Size Quentel NASB is based on the Quentel Series, which is now available in the ESV, NKJV, NASB and NIV (2017). This edition is designed to be a ‘personal size’ companion to the regular sized Quentel since it is identical in pagination. CLICK HERE for a .pdf sample (open at 100% or “actual size”). Wow! 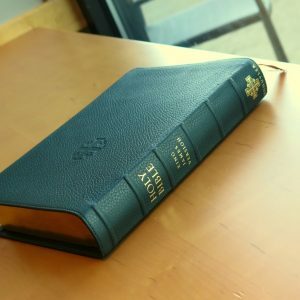 A superb Bible. Flawless. I recommend it without reservation. Just received this Bible and I don’t know where to even start! This is the first Schuyler I’ve owned and I am blown away by it! This may be my new #1!!! The calfskin is the best I’ve seen. The grain, the smell, and the feel are literally the finest I’ve come across. The binding lays completely flat right out of the box! The text is an item that really needs to be pointed out. The paper is perfect and bleed through is pretty much nonexistent! The 8.5 other is crystal clear and extremely legible. The font style if perfect as well. The maps are the best I’ve seen in a Bible. 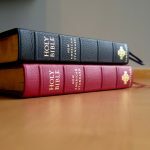 There are several I have NEVER seen in a Bible before. I may actually use the maps in a Bible, something I’ve probably never done before (other than simply glancing st them). 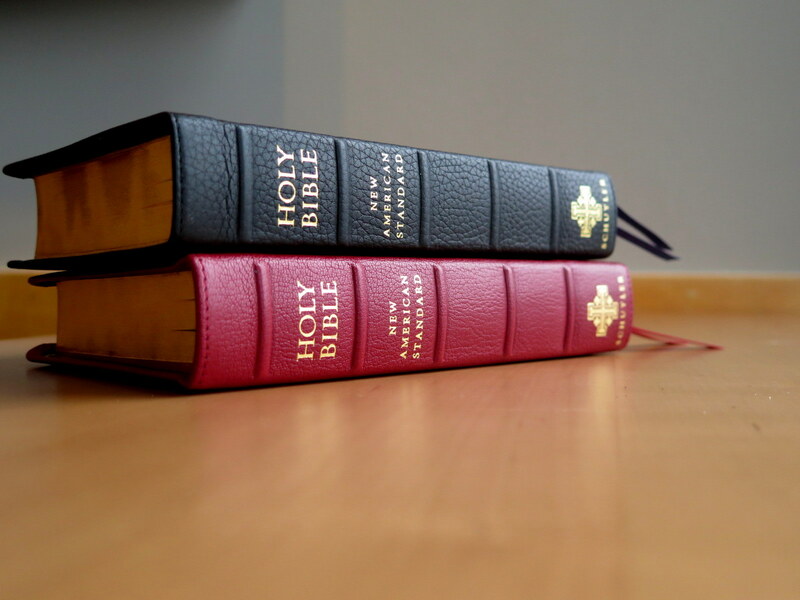 The ribbons look identical to the ones in my Allan Bibles. Excellent quality for sure. I could say SOOOOO much more, but I am going to leave it here. I highly recommend this little gem!!! Well worth getting and will certainly be out to serious use/study!!! What a great Bible! 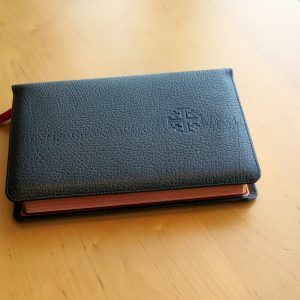 I ordered the calf because I have several edge-lined goatskin Bibles, I didn’t have a calfskin, and I liked the idea that it was over card-stock instead of being a super-limp cover. 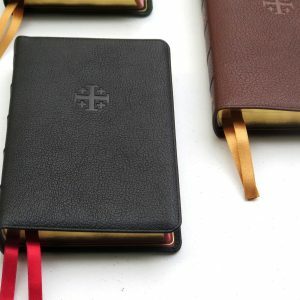 This is a great way to do a fine binding. It’s similar to the Cambridge Clarion Calf, but I like the leather on this better, and I like the perimeter stitching. 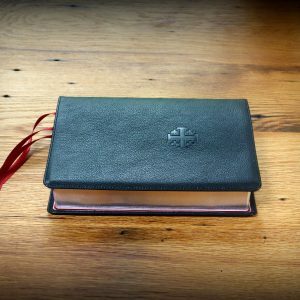 Although I use the NASB often, I did not have a “nice” NASB (just a bonded leather Lockman, and a couple of hard-covers). The size is perfect and I love the setting. You can’t go wrong with this! 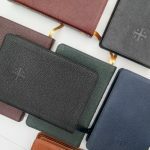 Plus, it’s a great price at only slightly more than what you’d pay for some “Genuine Leather” Bibles. AWESOME!!!! What a beautiful bible. 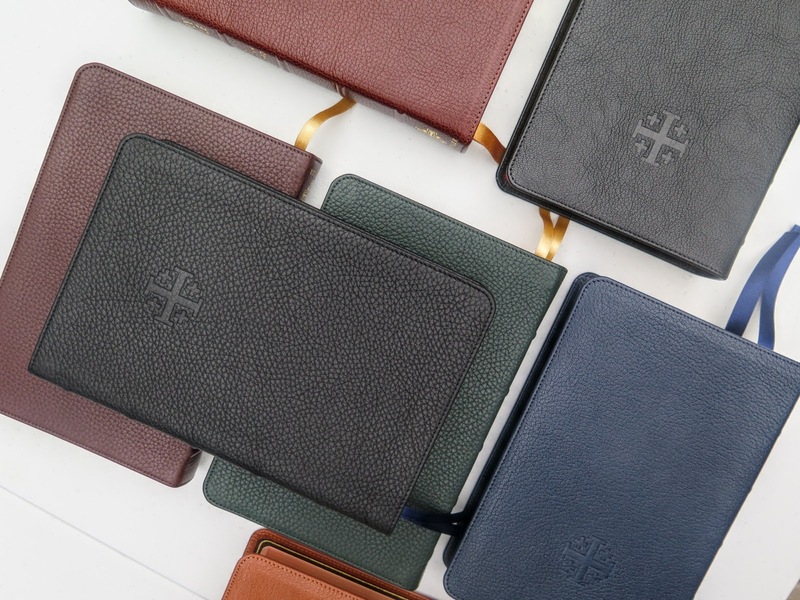 The calfskin is soft but yet durable. Lays flat out of the box. It is a pleasure to hold and read. Text block is very easy to read. 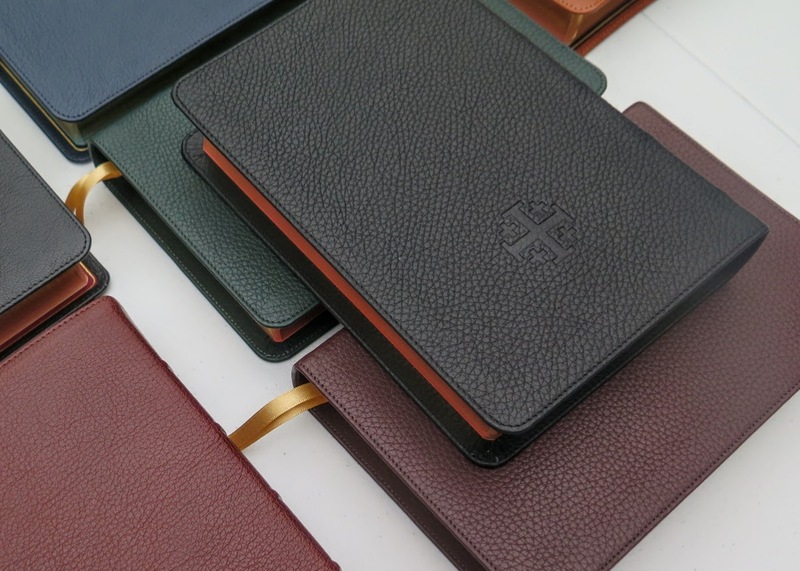 The black calfskin is hard to explain color wise. Not shiney but not flat just rich. The purple ribbons set it off with perfection. The gilding is beautiful. The maps are very nice. I love maps and these are very good. Also have the KJV Westminster in brickred goatski n (Schuyler) and it is Awesome too. But this is out of print. Got one of the last ones. Shame because this too is a beautiful bible in all ways. Thank you EB.com and God bless you. 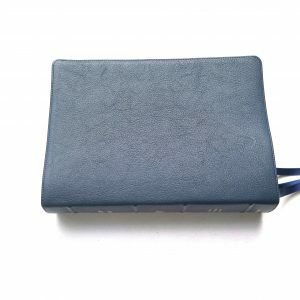 Customer service is the best and delivery time is fast. LOVE You guys!!!!! 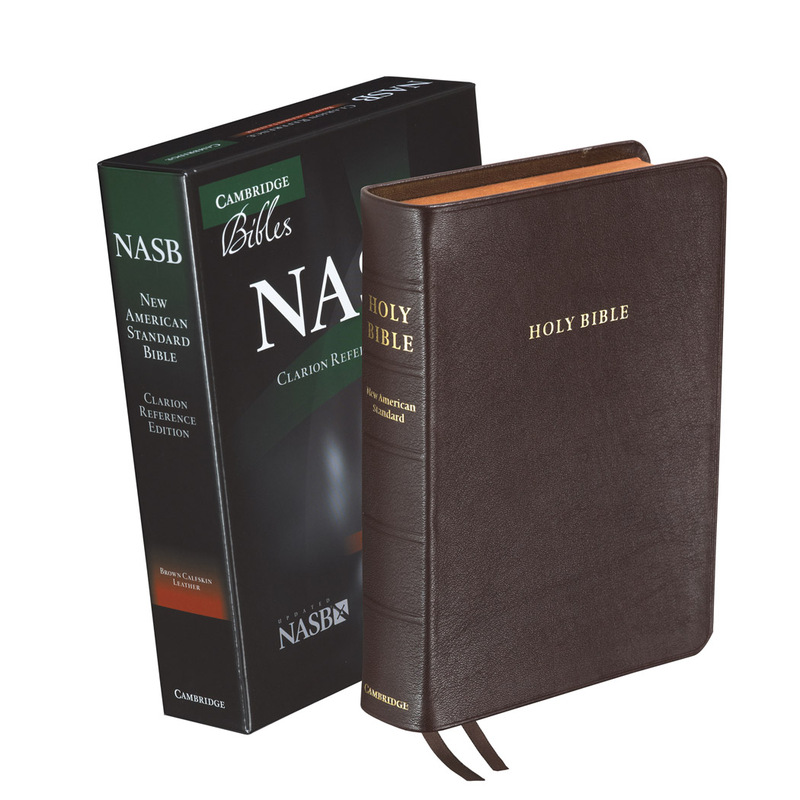 This is the second PSQ NASB I’ve purchased; the first was brown calfskin for a gift and this one is for my use. 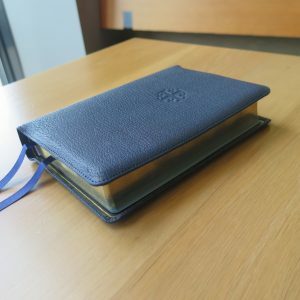 The PSQ is just about the perfect size hand-held Bible as long as you can read the 8.5 pt type. I had thought that would be a problem for my older eyes, but I can easily read the print. Not every 8.5 pt size font is the same–this one seems larger and it’s nice and dark. 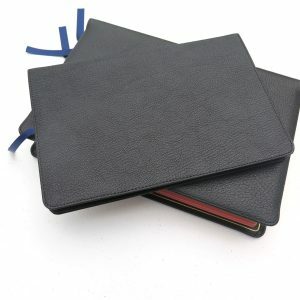 The calfskin cover has more of a matte finish and is very flexible. I love the stitching around the cover’s edge. It lies open nicely at any place. No concordance (the print would be too small), but some great maps and some lined pages in the back. I won’t use them, but they add only a tiny bit of thickness. I’m eagerly awaiting the release in October of the PSQ in the NKJV, my favorite translation. 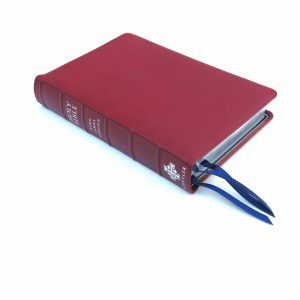 This is an awesome Bible for the price, maybe my overall favorite format of the ones I have. 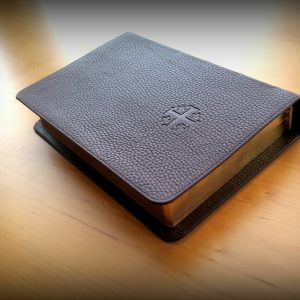 I’m just amazed at the readable print in such a compact size Bible. That said, the regular size Quentel is also a masterpiece with large 11 pt type. These are heirloom quality Bibles and I hope my grandchildren’s future children will be blessed by them someday.